With its big wheels and friendly smiling face, this buildable big rig truck is ready to roll out for race day when you open it up to find a buildable race car that makes real racing sounds! Start your engine, honk the horn, skid across the racetrack and more. 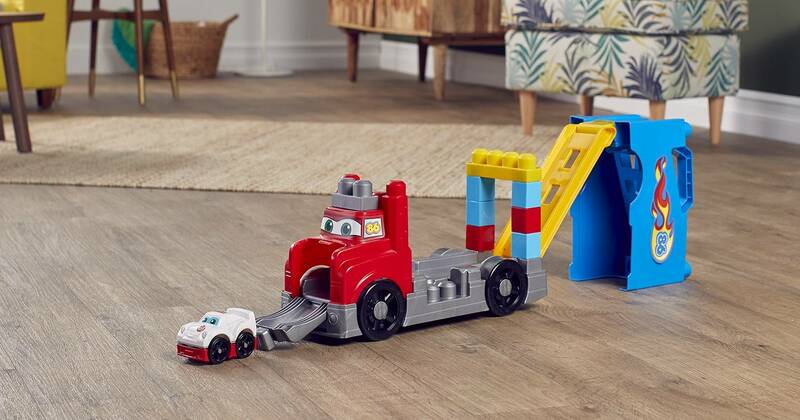 Then, take the big rig apart, rearrange pieces and use the included building blocks to build a raceway, complete with ramps that your race car can roll down. Just send the car speeding along the race track and across the finish line! Made just for toddlers’ small hands, the blocks and track pieces are easy to put together and take apart. 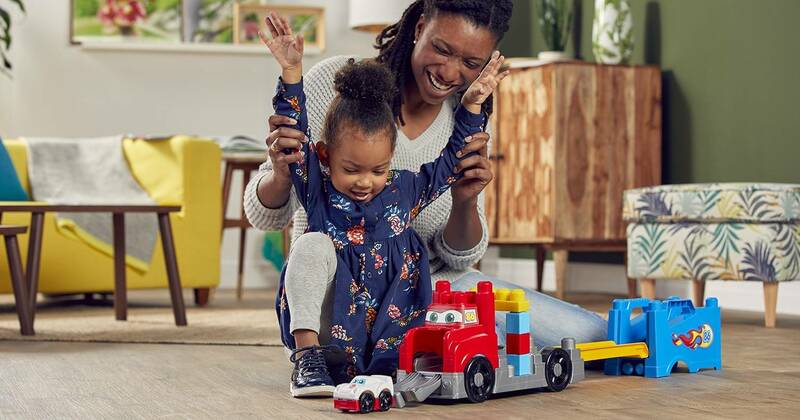 So, you can rearrange them to build all kinds of different stunts that will challenge your little racing fan’s fine motor skills and coordination. When race day is over, packing up is easy when you put everything away inside the truck’s built-in toy storage until the next big race. It’s an exciting new way for the biggest little car lovers to build and learn as they speed into their next playtime adventure! Get your own Build & Race Rig here!